Dr. Spivak is a graduate of University of Rochester in Rochester, NY. 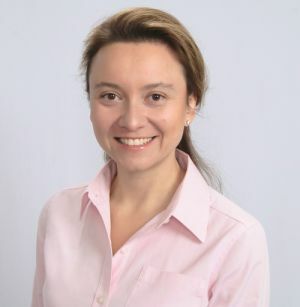 She completed the Doctorate of Dental Medicine (DMD) at Harvard School of Dental Medicine and has been practicing orthodontics after receiving post-doctoral education and certification in Orthodontics from Tufts University School of Dental Medicine in 2005. Dr. Spivak is a member of the American Association of Orthodontists. Dr. Spivak actively seeks out continuing education offerings in order to remain informed of the latest developments in orthodontic treatment options and technologies. She is committed to providing her patients with the best care available, using leading-edge knowledge, and by continually learning she is able to deliver on that commitment. As a mother of two young daughters, Dr. Spivak prides herself on treating every patient the same way she would treat her daughters. Patients always appreciate her gentle but very effective approach. She feels fortunate to be able to help people get beautiful smiles they always wanted and her biggest compliment is seeing the same families come back again and again as younger siblings are ready for their braces experience. Dr. Spivak has been married to her husband Denis for 10 years. They have two beautiful young daughters, Michelle and Emma, and reside in Ellicott City. They enjoy skiing, playing tennis and spending time outdoors. 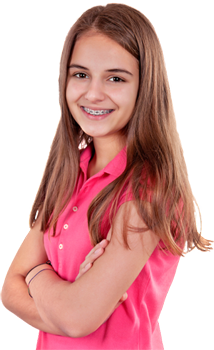 You can contact Dr. Spivak at drspivak@bracesinthepark.com. Our mission is to provide the highest quality orthodontic treatment and service in a compassionate, friendly, and clean environment that uses state of the art materials, equipment, and techniques. Our staff believes that healthy teeth and a beautiful smile are important assets that should be enjoyed by everyone throughout their life. We pledge to make your orthodontic experience more comfortable and pleasurable than you thought possible. Each member of our treatment team is a registered assistant, and our office has years of experience in treatment patients with the highest level of care. Our office was a house in the 1950’s and we are especially interested in making all of our patients feel right at home! We put your needs first to achieve efficient and comprehensive treatment. Our highly trained and skilled staff strive to provide energetic and fun loving treatment for each patient. We continually pursue excellence through continuing education, personal and team growth, and the use of the most current treatment techniques. Our team exemplifies professionalism, mutual respect and the ability to motivate our patients in a positive manner. Jessica will give you a tour of the office and explain how orthodontic treatment works and what to expect. She will also send communications to general dentists and surgeons to ensure the highest level of patient care. Organization, laughter and salads sums up our Office Manager Jessica. Bringing in a wide variety of experience Jessica has worked in general and pediatric dentistry as well as orthodontics for 8+ years. Jessica is originally from Missouri but moved to Texas to attend college where she met her husband Joshua. Together they enjoy sci-fi, superheroes and traveling with their cat Kit-Kat. Kristen offers in house, interest free payment options to accommodate any budget. She will file your dental insurance and provide flexible spending receipts. She will make the financial portion of treatment a pleasant one. Kristen is a proud new mommy to her 1 year old son, John. Kristen was raised in the Crofton area but resides in Pasadena with her husband Nick, son John and their dog Ruby. With her family living close by, she makes sure John can spend a lot of time with his grandparents. Kristen and her husband love watching their little boy laugh love and play. Roaring like a lion is John’s new favorite thing to do. He’s quite the entertainer! Katie has been an assistant with our practice for 10+ years. She was born and raised in Severna Park, and loved it so much she never left! Katie married her high school sweetheart, Patrick, and they have an energetic chocolate lab named, Tucker. Most of all she loves to travel and see the world with her wonderful husband right by her side. Katie is also very skilled at interior decorating, when we need to spruce things up Katie’s the one to call! Want to talk sports? Keri is our knowledgeable assistant on her favorite teams such as the Baltimore Ravens, Orioles and the UMD Men’s Soccer Team. Not only does she bring in a lot of sports knowledge, she also has 17+ years of experience in the orthodontic field! Maryland is the place she has calls home for herself and husband Mike. Together they have 2 beautiful children, Taylor and Blake. Rambunctious, energetic and zany, these are all words we would use to describe our happy go lucky assistant Jen. Jen has been working in orthodontics for the last 11+ years. Hailing from the sunny state of California, Jen now resides in Maryland with her husband, daughter and their dog Vader. Jenn grew up in a military family and loves spending time in historic Annapolis, GO NAVY! Personality is a key ingredient to our orthodontic assistant Audrey. Audrey was born and raised in Maryland and enjoys every moment of it. Growing up she played a lot of softball! She knows all the best places to eat, shop and have fun. In her spare time she enjoys taking road trips with her boyfriend and finding adventure. We take pride in helping our patients achieve beautiful smiles using the most effective and efficient treatment methods possible. During your initial complimentary consultation, we will go over all treatment options and recommend treatment that is best for you. Invisalign is the innovative teeth-straightening system that delivers beautiful smiles while addressing many of the concerns associated with wearing braces. Invisalign’s clear aligner system allows you to have the smile of your dreams without the hassle of metal braces. Invisalign is not limited to adult treatment. Invisalign teen is another wonderful treatment option for teenagers to achieve the perfect smile. Invisalign aligners are clear, so no one will notice that you’re wearing braces, creating a seamless fit with your lifestyle and day-to-day interactions with others. Invisalign is removable. Unlike braces, you have the flexibility to eat and drink what you want during treatment simply by removing the aligners. You also remove the aligners to brush and floss as you normally for fresh breath and good oral hygiene. Spivak Orthodontics is proud to be the Top Invisalign and Invisalign Teen Provider in Severna Park. – VIP Gold Plus Provider. 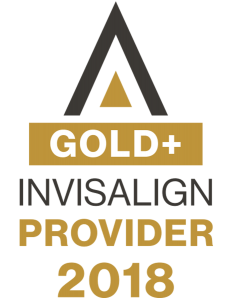 Not all Invisalign Providers are the same and choosing a VIP Gold Plus Provider guarantees that you are choosing a doctor who has treated a significant number of complex Invisalign cases and can deliver the best results. Clear braces are an amazing alternative to the traditional metal braces. Ceramic brackets blend to the color of your teeth making them virtually invisible. Clear ceramic brackets are strong and durable but less noticeable. Here at Spivak Orthodontics we use only the highest quality of clear braces to ensure the brackets do not stain from food or drink. 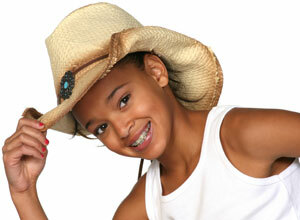 Braces use steady, gentle pressure to gradually move teeth into their proper positions. We use several different types of braces and state-of-the-art self-ligating brackets, which reduce treatment time and provide maximum comfort to our patients. Metal braces have been the most popular form of treatment over the decades and it only getting better. Today, modern metal braces are smaller and less noticeable than ever. Using the revolutionary self-ligating bracket system we are able to create miracles with our metal braces. Self-ligating braces do not require the use of elastic ties, meaning fewer appointments and less friction being placed on the tooth. They are the same size as metal braces, but use a specialized door locking system that helps guide the teeth into place. The new self-ligating brackets we use greatly reduce discomfort levels, decrease the frequency of visits and shorten treatment time. You also have the option of adding colored elastic bands to make your braces vibrant, colorful and uniquely yours! At Spivak Orthodontics, we believe in being as conservative as possible when determining whether to recommend early treatment or “Phase One”. The American Association of Orthodontists recommends that the initial orthodontic evaluation should occur at the first sign of orthodontic problems or no later than age 7. At this early age, orthodontic treatment may not be necessary, but vigilant examination can anticipate the most advantageous time to begin treatment. Your child is not yet ready for treatment. We will continue to monitor their facial and jaw growth to ensure teeth are coming in when and where they should. We will usually see your child every 4 to 6 months depending on your child’s needs. Growth and guidance visits are complimentary. Phase II typically involves braces on all of the patient’s teeth or Teen Invisalign, thus providing maximum control over the movement of teeth and moves teeth into their final positions. When all of the permanent teeth have erupted in the mouth, we can completely finish the final correction of the bite and turned teeth at this phase, so the patient can enjoy a functional beautiful smile. If you feel that you or your child can potentially benefit from orthodontic treatment, simply call our office or send us an e-mail. We will be happy to schedule an appointment for you. When you call to schedule your appointment, our front office staff will request some basic information from you. Upon arriving, each patient and parent will be seen by the staff and doctor who will acclimate you to our office and prepare for the initial exam. We will take the necessary photographs and X-rays to allow us to make a proper diagnosis. The doctor will then complete a brief, but thorough, exam. To read more about your first visit, see our First Visit Page. • Is there an orthodontic problem, and if so, what is it? • What must be done to correct the problem? • Will any teeth need to be removed? • How long will the treatment take to complete? Yes. We understand your busy schedule, and we are happy to help you make the most of your time. On some occasions, we may request to speak with a parent when they return, therefore we ask parents to check in with the front desk before dropping off their child. Patients should brush their teeth at least four times each day - after each meal and before going to bed. We will show each patient how to clean their teeth with braces and may recommend a special fluoride, if necessary. A surprising percentage of our patients are adults. In fact, 25 percent of all orthodontic patients are adults. Health, happiness and self-esteem are vitally important to adults. Aligning the teeth and correcting the bite may significantly improve oral health and allow for easier cleaning. No patient is "too old" to wear braces! 28. Why should you choose an orthodontic specialist? We are conveniently located off Ritchie Highway right in the heart of Severna Park while being a short 10-15 drive away from Millersville, Pasadena and Annapolis. We are one of the best known and respected orthodontics offices in the area and our patients come from almost every corner of Anne Arundel county. Our office was a house in the 1950's. When you pull into the parking lot, we are the first stone-faced building you see. The entrance is around the side, under a clear canopy. Monday: 1:00 pm - 6:00 p.m.